Struggling with weight loss is something people have been doing for nearly a century. Fad diets come, users lose weight and fad diets go, and users gain it back. 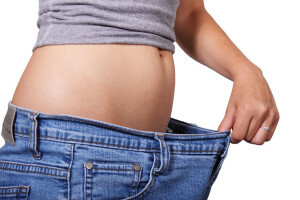 Oftentimes the weight gain includes a little more than was lost. The battle of the bulge is very real and is serious business. There are and have been so many scams from “this one pill” and “that certain routine,” but none has really proven to be the end-all, be-all of weight-loss for every type of body. Maybe nothing ever will. So with proper diet and exercise, you can lose weight. Sometimes we plateau. Sometimes we’ve lost so much and have excess fat that just doesn’t seem to go away. That’s where SculpSure may come in. SculpSure is a laser treatment, that unlike other treatments, actually uses heat to destroy fat cells, permanently. So how does it work? Well, SculpSure is a hyperthermic device, which means it uses heat to work. The heat is applied to the fat basically through the skin. However, your skin doesn’t feel the heat as there is a contact cooling system that allows your skin to stay at room temperature or below while essentially melting the fat away. The average fat destruction per treated area is 25%. Let’s extrapolate that. Say a patient has love handles and belly fat that just won’t go away. Though fat weighs less than muscle as far as volume goes, fat still takes up quite a large area, especially on bigger people. The patient, hypothetically speaking, has 40 pounds of body fat around their waist. The means on average a loss of 10 pounds for treatment. If you’re a lady that’s a couple dress sizes. A man would go down about 3 to 4 inches in waist size. Different than other weight or fat reduction processes that require multiple treatments and are painful, SculpSure uses advanced technology allowing as little as one treatment for immediate results. Another factor that really separates SculpSure treatments apart from other treatments is that all skin types and body types are tolerated. There is little to no bad type of candidate for this process. The reality of the situation is that you can go have this procedure done during your lunch break and return to work directly afterward. There is nothing else like SculpSure on the market today. There are quite a few laser treatments for varying issues, but SculpSure takes the cake for the simplest, most effective, and quickest aesthetic treatment around.